Home » Blog » Trying to Conceive? Join Us For Our How To Make a Baby Program! 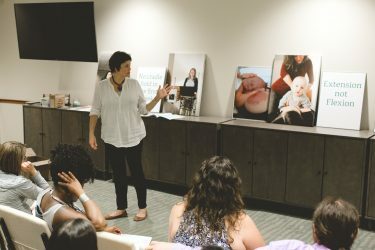 In October, the Midwives of New Jersey launched a new program designed to assist couples in achieving optimal conditions for conception leading to the healthiest possible pregnancy and birth. This is part of the Midwives of New Jersey’s core goals of having the best pregnancy outcomes in New Jersey. Our conception program, appropriately coined the “How to Make a Baby” Program focuses on the period preceding conception, or as we call the Pre-Trimester. The Midwives of New Jersey have seen many healthy babies born but when babies are not healthy it is devastating for our clients and also for the Midwives. Our hope is that if we can assist our clients in optimizing the environment in which their child is conceived, we can decrease the odds of those anomalies from ever occurring. We have recognized that many pregnancy concerns are not able to be rectified once the pregnancy has begun, which is why the Pre-Trimester is so important. We hope that this program will support a healthier conception and prevent fetal anomalies. Over the past few years, we have experienced some very devastating diagnoses with our clients including anencephaly, bilateral renal agenesis and trisomy 18. It is because of these extremely difficult experiences with our clients that we created our GriefCare Program, designed to help our clients process their feelings. These experiences also solidified the need to create our “How to Make a Baby” Program. The “How to Make a Baby” Program is a comprehensive, intentional approach to enhance and enrich the Epigenetic environment in which a couple conceives. If the body is nourished with appropriate foods and nutrients, stress is managed, and the environment is detoxified, then the Epigenetic environment is primed for a healthy pregnancy. When the epigenetic environment is primed, then the likelihood of a genetic anomaly being “turned on” is much lower. Making healthy changes prior to conception also allows a woman the opportunity to enter pregnancy as a low-risk person. Being low-risk allows the couple more choices for their birth like homebirth, waterbirth and even VBAC. The Midwives are often tasked with helping a woman through an at-risk pregnancy because she conceived before making the healthy lifestyle changes that might have prevented complications like gestational diabetes, pregnancy-induced hypertension or intrauterine growth restriction. We believe “How to Make a Baby” will help couples recognize the areas where they can make positive changes that will lead to better outcomes prior to and during pregnancy and birth. Our third reason for creating this program is consumer demand. Women call our office regularly asking for a preconception visit. That visit was too short and did not include the other half of the conception team, her partner. We developed “How To Make a Baby” so that we have the time to provide clients and their partners all the information they need to enter a pregnancy in optimal condition. We are running a special for Valentine’s Day this year. How To Make A Baby is 2 group classes, a visit for the woman with our nurse-practitioner, Veronica (insurance will also be billed for this visit) and a visit for the couple with our Wellness Advisor, Kathryn. The normal fee is $500 but for April, the fee will be $300. Sign up now and conceive in 2018 with confidence!